Elster are global manufacturers of innovative metering solutions including gas, electricity and water meters – their range of meters enable utilities to cost effectively deliver, manage and conserve the life essential resources of gas, electricity and water. Elster group is active in over 39 countries with over 200 million metering units put into operation over the last 10 years, accurately and reliably metering water, gas and electricity as well as enabling efficiency and conservation. Elster water meters deliver improved measurement accuracy, performance and operational efficiency that are all required to modernise global water metering infrastructures – leading he way with lead-free materials. Elster water meters are available from Thorne & Derrick to enable utilities to more easily and efficiently obtain and use advanced water metering intelligence in order to improve customer service and enhance operational efficiency. Each water meter is engineered for life and the wide range of products are used for metering hot and cold potable water in order to provide usage and accurate level readings as well as flow and pressure measurements. In addition, Elster can also be used for early detection of any system leaks that may occur in order to reduce or prevent damage as much as possible. See how Elster meters modernise utility networks, decrease costs, conserve energy and improve secure system integrity. Elster H4000 Woltmann Cold Water Meter is designed for the measurement of bulk flows of cold, potable water for revenue billing in commercial or industrial applications. 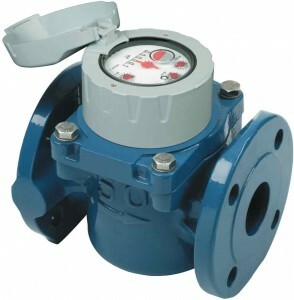 H4000 water meter is available in ten sizes for the monitoring of flow rates between 0.35 m3/h – 2000 m3/h. H4000 water meter operates at temperatures up to 50°c and has a maximum working capacity of 16 bar. The accuracy of the meter is maintained in both forward and reverse flow and also offers the benefit of inductive-based pulse communications technology. The meter is fully compatible with the range of Elmeris range of smart meter reading systems and can provide even more vital management information to assist with effective distribution management. H4000 meters can be installed on horizontal, vertical and inclined pipelines and achieves great performance in abnormal installations. Elster H5000 water meter is the latest generation of Woltmann (Turbine) bulk water meters providing the highest performance in bulk flow water metering – H5000 water meter is specified for commercial billing and water distribution applications and available in seven meter sizes for measuring water flow rates between 40 l/h and 200 m3/h. New rotor design combined with proven sensor technology improves sensitivity, durability and provides the most extensive readings for a mechanical water metering range with a single measuring element – H5000 water meter is MID approved. Unlike other bulk water meters installation orientation does not affect measuring performance requiring no upstream or downstream lengths of water pipework to maintain metering accuracy. As there are over 200 million Elster metering units deployed in the last 10 years, there are many applications and industries in which these products are used. 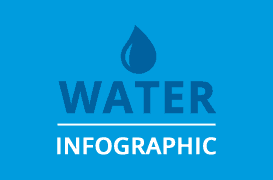 Typically, the most common application and industry in which their meters are installed is the water and wastewater industry. 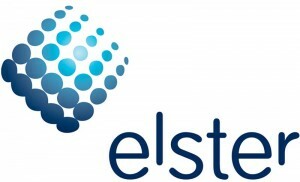 Elster are committed to addressing the unique challenges the water industry faces including increased customer demand and water scarcity. In addition to the water industry, their meters are often used throughout the medical and pharmaceutical, food and drink and manufacturing industries. Elster can trace their roots back to 1848 to the earliest days of metering. Today, the Elster Metering group have a presence in over 39 countries and a diverse portfolio of metering products and solutions to meet the almost any metering requirements – over 200 million units installed over the last ten years.